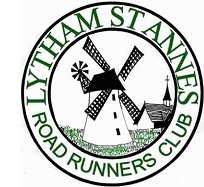 I am a Level 3 Coach and have been coaching athletics for 20 years and at Lytham St Annes RR since its formation in 1998. I currently coach athletes from age 6 to 60+. I still enjoy competing and do so on road, track, cross country and fells. I take pleasure seeing our young athletes getting enjoyment from athletics whether in competition or just for fun. I am a Level 2 Coach and have been coaching the younger juniors since LSARRC opened the Junior Section. I am a primary school teacher and have been running with LSARRC for about 10 years. I particularly enjoy fell and ultra running. I moved to England (London) from Germany in 2000. I started running in 2001 inspired by watching the London Marathon. My claim to fame is running with Gordon Ramsey in my lunch hour when I worked with him at a London restaurant. Since then I have completed marathons all over the world - the furthest away being Sydney! In 2004 I moved to the North West and joined LSARRC in 2006. I qualified as a coach in 2015. I love cross country, fell running and team relays. I am most recognised for my "crazy hair colours"
Have been assisting coaching on a Monday evening at YMCA for nearly three years for Lytham St Annes RR and occasionally helping at Blackpool Wyre & Fylde AC. I enjoy encouraging youngsters to get involved in athletics. All of our Coaches have signed up to a code of conduct.